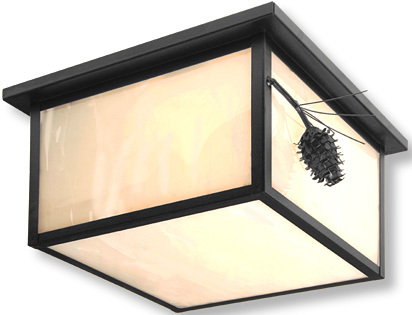 This welcoming ceiling drop mount light is just drop-dead gorgeous! . H: 8" W: 14" x 14". One 60 watt bulb. 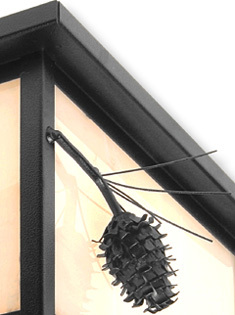 Shown in black finish with slag glass pretended.